Patient Euro is on the road to recovery. 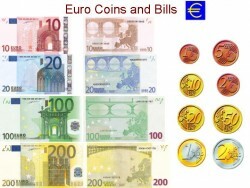 Europe's debt crisis and the financial problems mainly of Greece greatly affected the exchange rate earlier this year. Now, the Euro regains strength. After the low of $1.18, the Euro recovered step by step rising above the mark of $1.30. Economists see this as return of confidence in the markets.